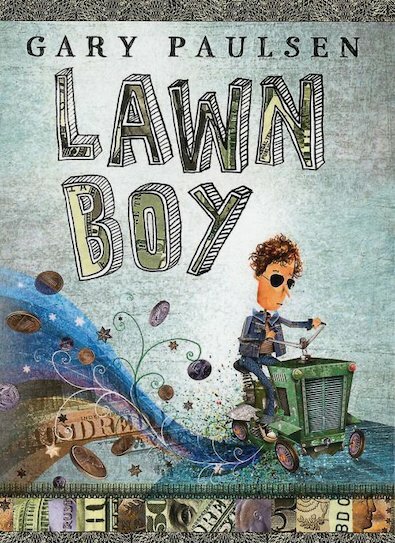 One day Lawn Boy is just an ordinary kid, mowing lawns to make a little extra money. But all of a sudden, he’s a business tycoon, and everyone wants to be his friend! It all starts when a boy repairs an old lawn mower and starts to tidy up neighbours’ lawns, hoping to earn enough to replace the inner tube on his bike. Before he knows it, his venture is doing a roaring trade. He can’t cope with all the demand – and soon he has dozens of people working for him, a grown-up business manager, and a cash mountain of half a million dollars. It’s a lot for one boy to handle. What will happen next? 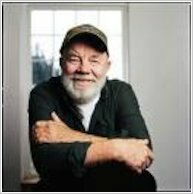 A chance visit to a library on a cold day was the turning point in young Gary Paulsen’s life. A librarian gave him a library card and a book, and the teenaged Paulsen discovered that books could provide excellent companionship. His resulting passion for literature has stimulated a wealth of published works for both children and adults. The product of a difficult childhood, Paulsen ran away from home at the age of fourteen. His experience in diverse jobs and a wide range of interests have provided the basis for much of his written work. His stories are woven from his personal experiences, and many of them feature outdoor settings and the harmony of nature. Several of his books deal with the theme of survival and human endurance. Hatchet, which has become a modern-day classic, won him the Newbery Honor Award. Paulsen’s interest in dog sledding led to his participation in the Iditarod Sled Dog Race. The impact of this experience on his life is brought to life in several of his outstanding books, including Woodsong and Dogsong, another Newbery Honor Award winner. His close relationship with his dogs and all of nature is delicately blended into his stories about the race, allowing the reader to experience the true feeling of being out on the trail. Paulsen lives in New Mexico with his wife, artist Ruth Wright Paulsen, who has illustrated several of his books.